A product delivers some action and contributes to client function. First, "Input Elements That the Product Receives As Mission" need to be clarified. That is, objects and their conditions that the product works upon need to be clarified. If there are no objects to work upon, the significance of product's existence can be thought to be null. Important elements such as this must exist. Next, as an object of action for the product, "Output Elements to be Output", must be clarified. 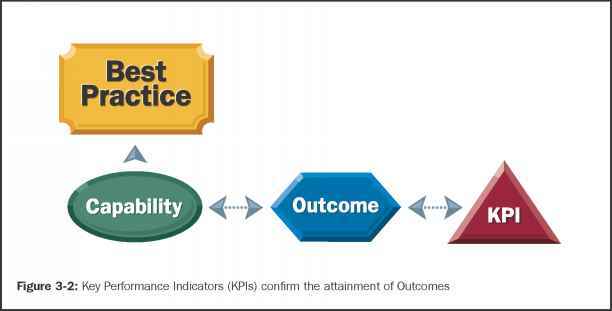 That is, the output that needs to be generated as a result of the regular operation by the product and by describing the status change of higher phased input ,the product "actions" are defined. Resources that the product needs for its action and side effects that the product generates also need to be described. It is suggested that these be represented in a diagram such as the "System Environment Diagram" or "Context Environment Diagram". 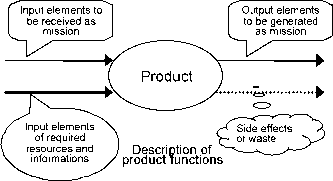 The internal structure and framework of the product can be looked at as a system. It is not adequate to look at the internal structure as paying attention to the "functional structure" only. With various view points mentioned in this column, the objectives should be built into the "model" and their characteristics unearthed up. "An Introduction to General System Thinking" by Weinberg would be a good reference for this.